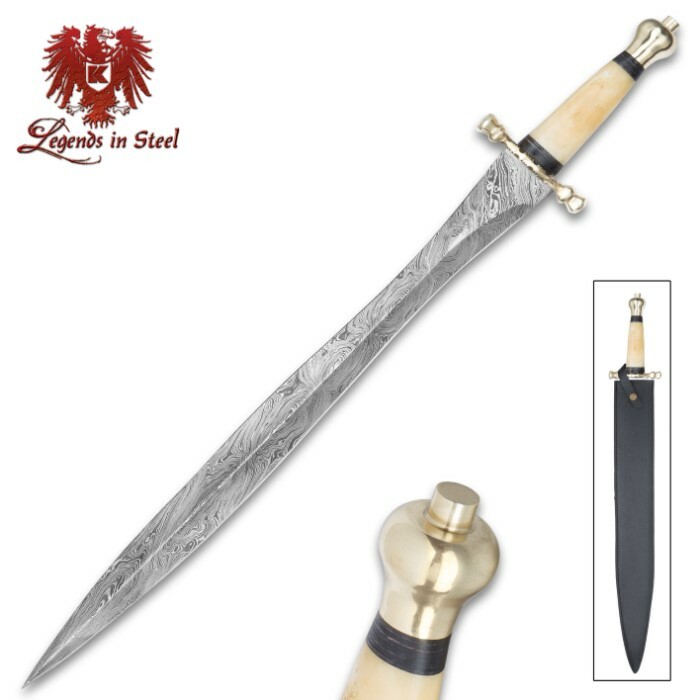 Hand crafted, exceptionally beautiful and highly detailed from end-to-end! 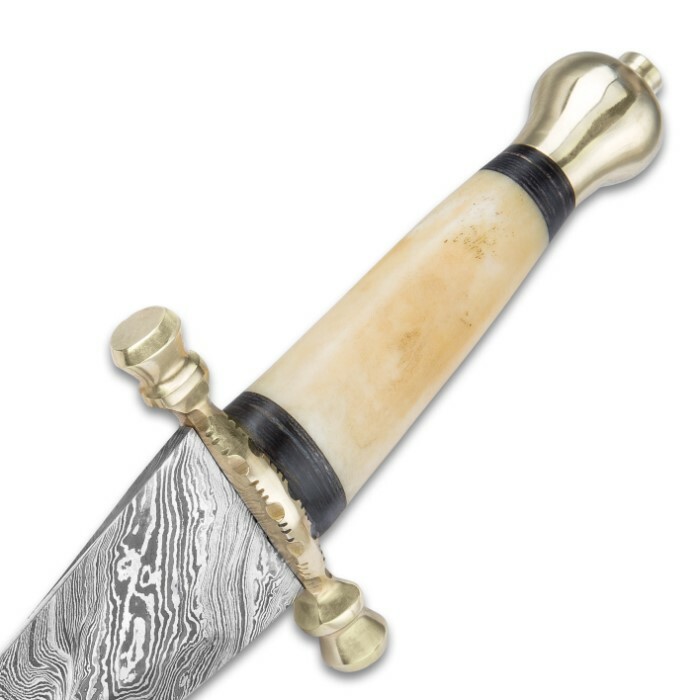 Our Divine Damascus Broad Sword features a stunning double edged Damascus steel blade. 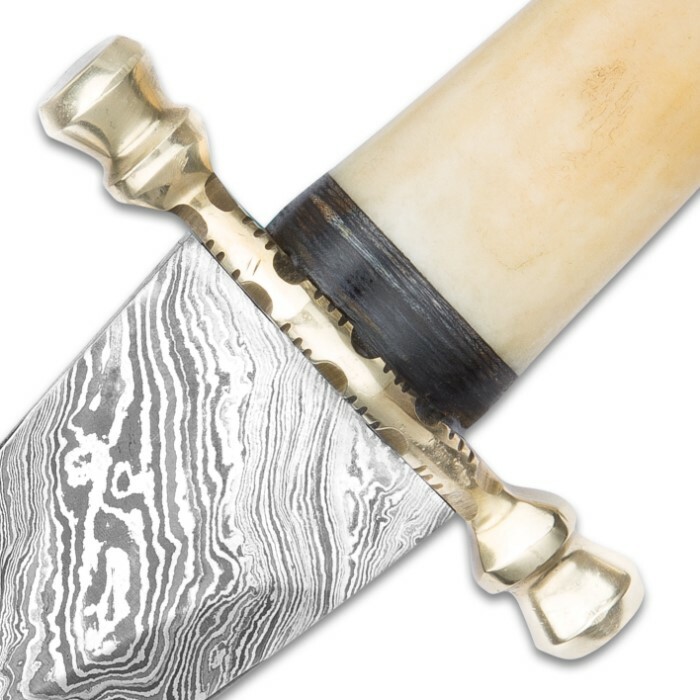 Seemingly endless layers of steel ripple outward from the blade's center crest until they kiss the sharpened edges. 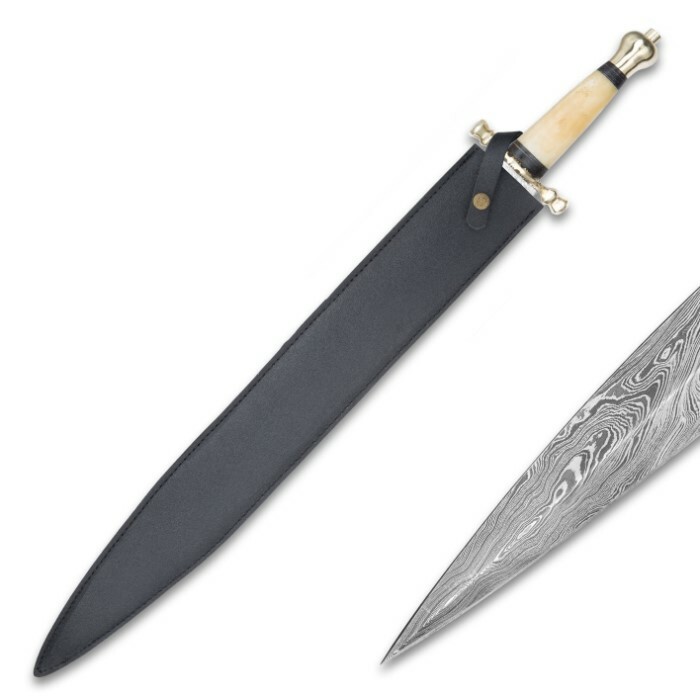 The blade rises from a solid brass guard with file worked accents. 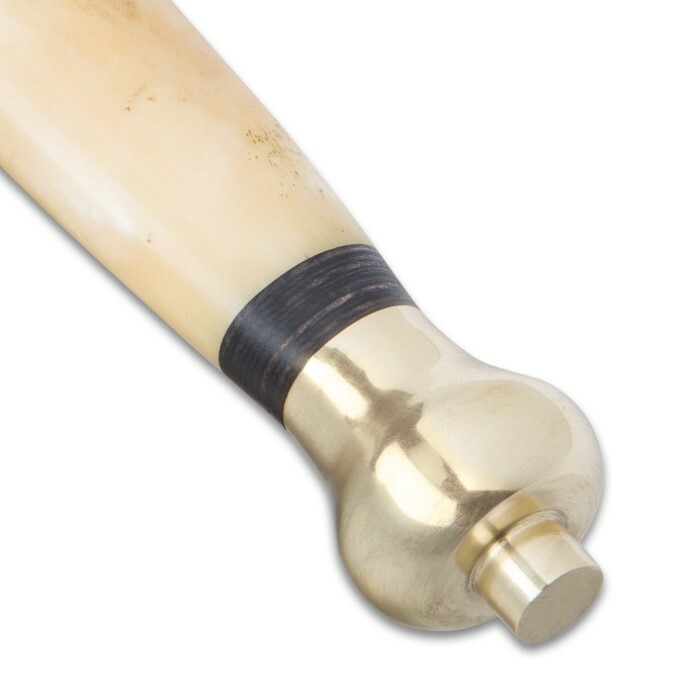 The bone handle is hand carved and topped with a brass pommel. A leather sheath with snap closure is included. Measurements: 22 3/4 in. blade, 29 in. overall. Looks nice in the picture, but up close, low quality. No attention to detail. The blade is malformed. The grip has a plastic look to it.